As an Illinois chemical engineering graduate student in the 1970s, Gary Renola recalls one evening when he was struggling with a combustion research project and the reactor blew up, the remains of the project crumpled in the sand bath. “I’ve probably used that expression a thousand times in my life when we’ve had to shift directions,” says Renola, who retired in 2010 after a long, varied career at ExxonMobil. As a graduate student at Illinois, Renola learned to become an expert in a specific technical area—chaotic oscillations. But he also received valuable training in how to solve problems and how to use information to solve problems, he says. “It became the backbone of my skill mix in my professional career and volunteer activities,” Renola says. The 1979 Ph.D. graduate has made a career of continually learning new things and changing directions when needed. Rather than specialize in one area of research within a company, Renola navigated a variety of arenas in his career, from polymer product development and process development with new catalysts to capital project management. He is an active volunteer in southeast Texas and has been involved in Big Brothers Big Sisters of Greater Houston, the Seabrook Economic Development Corporation, the Seabrook City Council, and other community organizations. Renola’s approach to leadership is to learn quickly, appreciate volunteers and the diversity of skills they bring, and honor the mission of the organization. And he gets right to work on solving problems—even when that problem comes in the form of a Category 4 hurricane. “My general approach is to get in at the ground level, work as hard as I can, and suggest the next steps to improve the organization. … When you understand an organization from the ground up, then you can do a good job of leading,” Renola says. Born in Fort Worth, Texas, Renola moved to Maryland, followed by suburban Philadelphia as a young student. As an undergraduate at Penn State, he majored in chemical engineering, and enjoyed reaction engineering and the complexity of multiple-reaction systems. 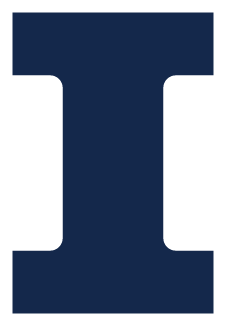 When it came time to consider graduate schools, Penn State professor and UI alumnus Robert L. Kabel (BS ’55) recommended the University of Illinois. Renola was drawn to Illinois for its combination of hands-on learning and classroom time. While in Champaign-Urbana, he and his wife Elaine became active in the tennis community, often playing on campus. During lunch breaks, he and other fellow chemical engineering graduate students would play darts and on Saturday mornings, they often played basketball. After finishing his Ph.D. work in late 1978, Renola joined Exxon’s synthetic fuels division, working at the company’s coal gasification pilot plant in Baytown, Texas. At the time, synthetic fuel “was going to be the end-all, be-all. This was when oil was expected to be $100 a barrel,” he recalls. But those price expectations did not materialize (at least not for several decades) and within a few years, funding for synthetic fuels started drying up and energy companies began shutting down their synthetic fuel programs. Renola would stay with Exxon but transfer into polymer research and development, in areas such as blow molding and catalyst development (and co-authoring several catalyst patents). “Scaling up reaction processes was fun and extremely challenging. There are things you can’t mimic at a small scale, problems you can’t see until you demonstrate on a larger scale,” he says. Renola also spent time in the technical department of its commercial polyethylene plant, addressing customer complaints, problem solving process problems, and working in project management. The last 13 years of his career were in the plant leadership group at the ExxonMobil Mont Belvieu Plastics Plant. He was responsible for capital projects, some with $50 million to 100 million budgets. “My career has not been a typical career. Many engineers focus on one particular area. My focus was one of breadth, developing a broad skill mix. I made a career of learning new things,” Renola says. While at the Mont Belvieu plant, Renola started becoming more active in volunteer work. In 1998 he started mentoring at a local elementary school and a year later he started mentoring through Big Brothers Big Sisters of Greater Houston. He has been a Big Brother to three different young men; his current Little Brother is a senior in high school. Renola would go on to join the organization’s local advisory group and he has served on the board of directors of Big Brothers Big Sisters of Greater Houston. The plant manager at ExxonMobil recruited Renola to represent the plant on the board of directors of the West Chambers County Chamber of Commerce, and later he became the group’s chairman. Renola and his wife have lived in the community of Seabrook, a coastal town of about 12,000 southeast of Houston, for the last 22 years. But Renola didn’t become actively involved there until he started serving on the chamber, and later the Seabrook Economic Development Corporation. After serving as the corporation’s president, he was elected to the city council. Three years into his time on the council, Seabrook’s mayor, whose term was limited and coming to an end, encouraged Renola to run. “I was looking for the opportunity to further serve the community. I really enjoy the challenge of new organizations and new processes,” Renola says. Several months into his term as mayor, he would face quite the challenge. In September 2008, the region was hit by Hurricane Ike. In the storm’s aftermath, he and the city’s team faced power outages, gas leaks, flooded streets and residences (and some homes on the bay were washed away). They worked with agencies and city employees to restore power and get the sewer plant back up and running. Much of his time was spent dealing with officials from the American Red Cross, Federal Emergency Management Agency, and county and state government agencies. Limited to serving two three-year terms on city council (with no distinction between being council member and mayor), his time as mayor concluded in 2011. Retired from ExxonMobil in 2010, Renola continues to volunteer with organizations focused on education and mentoring. He now chairs the board of the Clear Creek Education Foundation, which supports the Clear Creek Independent School District in suburban Houston with teacher grants and support for special projects. “At this point, I’m perfectly content to stay out of the political arena,” he says. Renola recently joined his local Rotary International club and is currently serving on its board. He continues to mentor with Big Brothers Big Sisters. And after playing tennis for decades (an accomplished player, he competed in U.S. Tennis Association tournaments throughout Texas and was a top 30 player in singles and top 10 in doubles) he has picked up golf during retirement.